Is your pup shy around strangers or other dogs? Then you have work to do. Many things can make a dog shy or lack self-confidence. But you can help your pup to become fearless irrespective of what the cause is. Besides shifting your dog's attention away from scary stuff to things that are more positive, there are other steps you can take to make your pup bold. What you need is time, patience and knowing the right exercise or actions to achieve your targeted results. How to identify your dog lacks confidence. How to help your dog regain confidence once again. Spark, our third pup was friendly to every member of the family. He always enjoys playing with the kids but never spent time with our guests the way other dogs we have had done. Although this trait was new to us, we never thought something could be wrong. I could not find any reason to treat it as a significant issue until Spark’s shyness embarrassed me in front of my friends and their pets. He could not face small dogs my friends brought with them. Past experiences, whether negative or positive can shape our future as humans. But we humans have a way of overcoming things that happened to us in the past. Unfortunately, dogs do not have that kind of intelligence. That is why an abusive relationship can make them become shy and display lack of confidence. 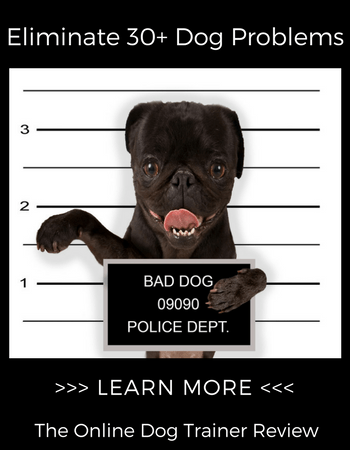 Physical abuse your dog may have suffered at a tender age from other dogs or humans can hurt its emotion. It would create a form of fear in your dog. Dogs need adequate support at the earlier stages of their lives. And as for my dog, Spark, I cannot tell if it had suffered physical or emotional abuse in the past. Many things can go wrong when you abandon your pup. Strangers may treat him poorly, or your dog may find himself in a scary situation. Proper monitoring and care is part of the vital support every dog owner should give their pets. You should monitor every move your dog makes, the food he consumes and dogs in the neighborhood that makes a great companion and those that does the opposite. Dogs are not wired to live alone, so negligence is also a part of the abuse. A dog is suppose to live in a group, loved and cared for, adequately. 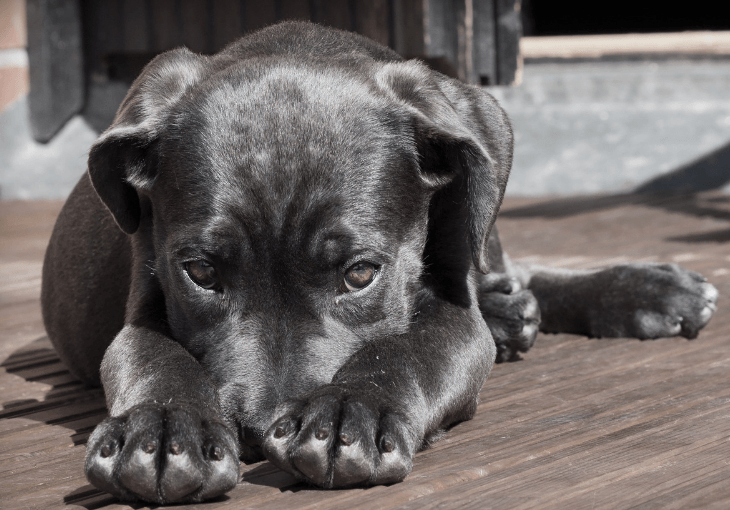 Poor socialization is another issue that can make a smart dog grow into a shy one. So at the early stage of your pup’s life, make an effort to expose him to different places, people and things. By so doing, your dog will get used to them, and will also not develop fear whenever he encounters the same thing elsewhere. When it comes to personality and emotional development, research has shown that the manner in which parents treat their children can have a massive impact on their behavior. That said, a study conducted by a team of Swedish researchers also discovered a similar result with a mother dog. The researchers claimed that the way the mother dog acts towards her young pups could impact their behavior. When your dog lowers his tail, you may be right to conclude that he wants to relax. But when his tail ends up between his two legs, it means something different. When your dog’s tail is clamped on that spot and refuses to move, know he is not very comfortable staying in that environment. My dog, Spark, was an expert in tail tucking. And now I understand why he does that whenever a stranger comes around. Your dog can pin his ears when he enters that happy mood, but this action can indicate a different thing altogether. Whenever your dog pins his ears and performs other activities such as panting, darting eyes or stiffened body, then it's a sign he is upset or nervous. A shy person may also lower his head, in an attempt to avoid making eye contact with whoever he is talking to. So dogs are not the only guilty ones here. When your dog lowers his head when he finds himself in company of other dogs in the neighborhood, it's an indication of fear as well as low self-esteem. This pose is confusing to many dog owners but have this in mind; when your dog lies on the floor with back, calmness and confidence. But, when he is not trying to sleep then such action could be taken as a panic sign. Using exercises and other training techniques, you can support your timid pup to regain confidence, but be ready to be patient. Don’t use a loud tone of voice. Use training techniques your pup enjoys. Avoid harsh training techniques or training tools like choke collars or prongs. ​This training technique is fun for both the canine and the owner. In addition to that, your dog will gain more confidence when he does the tasks you assigned to him. Plus your dog will interact with his environment and perform numerous tasks. You can take it a step further by gathering an audience to help praise your pup and give treats to encourage her. Let the dog perform the various tasks in front of them, as this can help to eliminate her shyness. Your first target should be to make your dog comfortable. Once he feels comfortable in a particular place, then move into new areas and scary situations. Obedience work is excellent in this regard. It can impact your pup’s confidence. If your dog is comfortable around kids riding bikes in your neighborhood, then take him to other places where he will encounter more bikes. Try to vary the situation to look more challenging for your dog. That way, he will regain his confidence faster. This program works for insecure pups and can help them understand a routine. For instance, before dishing the dog food, your puppy has to sit down on its own. Having your pup sit comfortably before having his meal or opening the door can help him to learn how to control his impulse and build confidence. This training involves guiding your dog to run through tunnels, jump over obstacles, and walk or climb onto different structures. This exercise will make your dog regain confidence when repeatedly done. Walking on a wobbly surface can be frightening to your pup, but can help to eliminate fear. As a dog owner, understanding ways to help a dog overcome shyness or lead a happy life is essential. You need constant practice and consistency to help make your dog fearless and eliminate shyness. And you can take the bold step to support your pup even if you do not know his history. Also choose the healthiest dog food for your canine, to raise a healthy and happy dog.